Images need to be no bigger than 800 x 600. Try to account for each of the message boards as a seperate room. 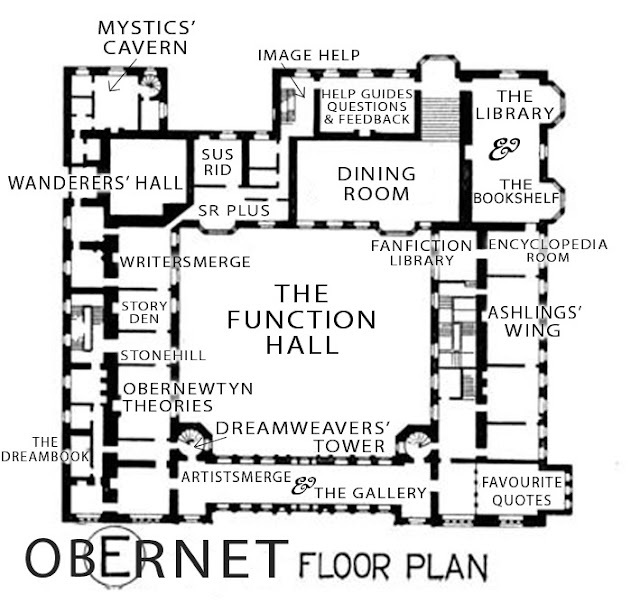 If you're having problems designing something, google search a real floor-plan, and then change/photoshop it to suit Obernet! Every "room" i could think of is there. Including most of the ones people cant see. I'm certain there are more but :P I added some extra rooms here and there also. This is my design for Obernet as a real place. I know it looks like there's no doors but the doors didn't want to work so they are now imaginary. Well, I kinda ran out of time on this one :P so I'll explain the design rather than putting text on it. I found it really hard to put the rooms down on paper, when you assign something a space, it ends up feeling too small or not quite right. 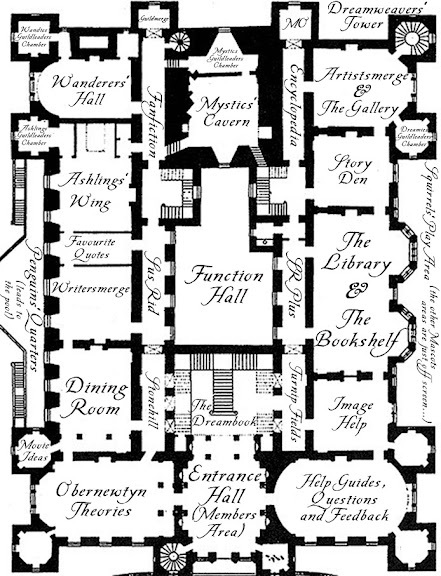 The left side of the plan contains the 'discussion' sort of areas; the Writers at the base, Library in the mid-left and Theories the third, adjoining room. If we continue north from there, the top-most left room is the Guildhall. 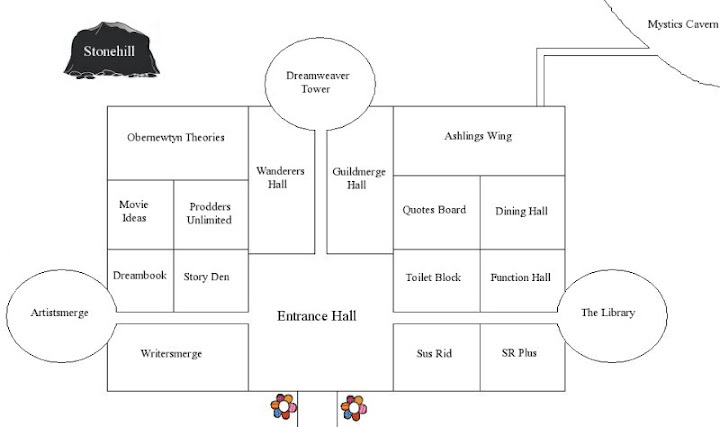 Down the right side, we have the Sus Rid + SR+ room; with a small maze to get to it (and a 'joke' room if you go the wrong way, containing a single chair). Under it is the vast Function hall, leading out to the courtyard/bar. Below that is the Dining Hall. I know I've missed a bunch of rooms, but it was honestly a lot harder than it sounded on paper to define all these places!